It is important that all patients with asthma should have regular check-ups so that their condition can be monitored and their treatment adjusted if necessary. The doctors are always available to help you but we also offer an asthma clinic run by our nurses who have both experience and qualifications in asthma care. 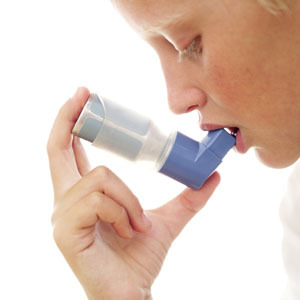 You will receive a letter when your asthma check is due. If you are having trouble with your asthma but do not think you need an appointment in the surgery, we can often give you advice on the phone. You can either book a telephone consultation with one of our doctors, or else speak to one of our nurses in the clinic. For more information visit Asthma UK website. The child immunisation clinic on a Wednesday afternoon and a Friday morning. The clinic is run by a practice nurse. Details of this will be given to new mothers by the health visitor. For more information on children's immunisations click here. You will receive a letter when your child's immunisations are due. We offer a comprehensive family planning service. Our nurses are trained and experienced in family planning procedures. We can provide advice and information on all methods of contraception including the prescription of the oral contraceptive pill, contraceptive injections, as well as the fitting of coils and diaphragms. Sometimes contraceptive advice can be given by phone and please feel free to book a telephone consultation with a nurse if you think that is appropriate. the IUD (intrauterine device, or coil). Contact your GP. If you need emergency contraception then please make this clear to the receptionist as we will then arrange to see you on the day you contact us. The school nurse at the local senior school provides a limited contraceptive service to younger people. For more information visit the Family Planning Association website. The Family Planning service is free and strictly confidential. We invite all our patients to attend our diabetic clinic at least annually. This gives you the chance to discuss any problems you have with your diabetes as well as receiving a thorough check-up of your circulation, blood pressure, feet (including seeing the podiatrist if necessary), and reviewing your recent blood tests. You will receive a letter when your diabetic check is due. We are also part of the local scheme for digital photography of the eye to help check for any eye problems and you will receive your annual invitation directly from ODESP (Oxford Diabetic Eye Screening Programme). If you believe you are pregnant, make an appointment to see your GP . From then you will be referred to the midwifery service. Although our midwives employed by John Radcliffe hospital/Oxfordshire Health, you can still choose to deliver at the Great Western Hospital and be seen by them in Faringdon on Tuesdays and Wednesdays. A midwife will contact you to arrange a first appointment at about 10/12 weeks and explain what will happen. At this time you can elect to go to Oxford, Swindon or Wantage (unless it's a 1st child) for delivery. Following the birth, a midwife will visit you within a day or two of your return from hospital. After then a Health visitor will be your main point of contact. A good source of advice on the internet is the site run by the Royal College of General Practitioners called Emma’s Diary. Patients can now be seen directly by an optometrist for minor eye conditions. Please click here for more information about this service and how to book. Oxford Eye Hospital provides a walk-in service for urgent eye symptoms. Open Monday – Friday 8.30am – 4.00pm, Weekends and Bank Holidays 8.30am – 3.00pm. Only very minor injuries such as small cuts and splinters can be treated at the Health Centre. Those with wounds that need to be stitched must go to Witney or Abingdon Minor Injuries Unit. Limited types of minor surgery are carried out at the Practice. A range of injections to hips/knees/shoulders and heels can be given by the GPs and they can remove cysts and in-growing nails. Abscesses can also be drained. Your GP will normally refer you for physiotherapy if they feel that it is appropriate. Physiotherapy by self-referral is only available after discussion with your GP. The physiotherapists can be contacted on 01367 245415. Podiatry referrals are available for certain problems, such as ingrowing toenails, biomechanic issues and if the patient is at high risk of foot problems due to an underlying illness such as diabetes. Your GP will normally refer you for podiatry if they feel that it is appropriate. The podiatrists can be contacted on 01367 245419.